Power was restored today in India, where more than 600 million people had been living without electricity for two days. That's good news, but it's left many Americans wondering whether our own electric grid is vulnerable. Here's the good news: The North American electric grid is not likely to crash in the kind of catastrophic way we've just seen in India. I'm currently interviewing scientists about the weaknesses in our system and what's being done to fix them and will have more on that for you tomorrow or Friday. In the meantime, I wanted to share a chapter from Before the Lights Go Out, my book about electric infrastructure and the future of energy. If you want to understand why our grid is weak, you first need to understand how it works. The key thing to know is this—at any given moment, in any given place, we must have an almost perfect balance between electric supply and electric demand. Fluctuations of even fractions of a percent can send parts of the system towards blackout. More importantly, that careful balance does not manage itself. 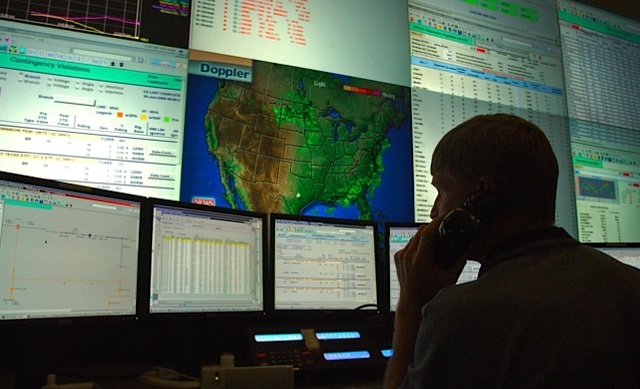 Across North America there are people working, 24-7, to make sure that your lights can turn on, your refrigerator runs, and your computer works. They're called grid controllers or system operators. Most utility customers have never heard of these guys, but we're all heavily dependent on them. They keep the grid alive and, in turn, they keep our lives functioning—all without the benefit of batteries or any kind of storage. sible to evolve your way up the chain, but it wasn’t easy. To become a system controller, Mickey had to vie against a hundred-odd applicants for one single job. His first year, he mostly just traveled from place to place throughout the utility’s territory, learning a controller’s craft by watching what the experienced guys did. In fact, Mickey didn’t get to touch much of anything for the first five years. It was an almost-medieval apprenticeship, designed to produce a feudal lord of the electric grid, who would be all-knowing and always right. That last part was especially important. Back then, each utility company generated its own power, owned its own lines, and controlled its own chunk of the grid, which was still, at that point, mostly walled off from other chunks. A system controller had to make sure there was enough generation to meet demand, but he was also in charge of turning individual power lines on and off for maintenance. At a big utility such as Houston Light and Power, that could mean fifteen or twenty lines in flux during the course of a single day. The controllers had to keep electricity flowing to customers, make sure certain lines were deactivated and reactivated at the right times, and do both of those jobs while simultaneously managing everything else going on in the system. It was a lot like being an air traffic controller, Mickey says. There were lives in his hands.